Spring came and the squash were now dry, brittle, grayish white containers that rattled like maracas when I hefted them. The seeds, I reasoned, must not be tasty to the GroundHOG. Unlike my tender bean seedlings. . .but I digress. That is a story for another day. With the dried squash still in the field, Richard tilled the ground for Spring planting. 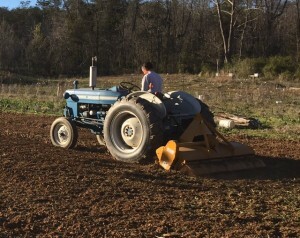 Our six-foot tiller, a life-changing implement we purchased last year, made short work of the leftovers, grinding them into the rich soil and leaving the field ready to plant. My crop rotation plan designated this area for legumes, since potatoes previously grew where the squash were and I thought the soil could use a nitrogen fixing plant. 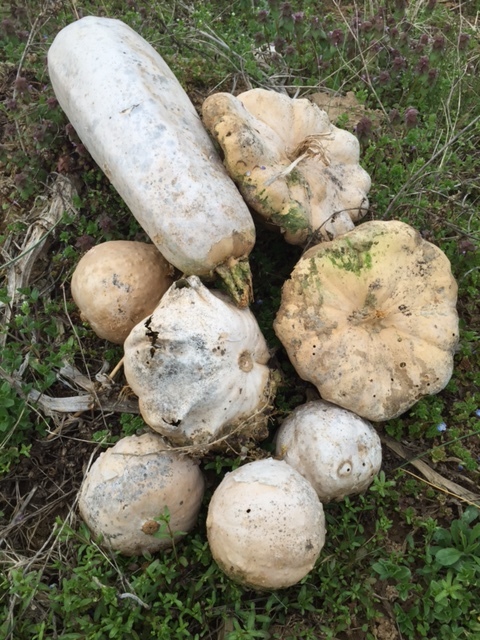 The heirloom squash, however, had a different plan. With the hiller attachment on the tractor, Richard and I planned to make long rows for Ted’s butterbeans. (More about that seed saver and his beautiful beans another time!) Richard drove the 1972 blue Ford, a workhorse that once served as his dad’s favorite escape vehicle, to the edge of the field and I collected seeds from my farm basket. As I walked toward the prospective bean field, I noticed Richard standing, craning his neck to look at something ahead of the tractor’s nose. When I made it to the end of what was to be the first bean row, Richard stopped the tractor and climbed down from the seat. I ran to see what he was studying so intently. When I reached the spot where Richard stood, he pointed downward. Growing almost in a straight row were squash seedlings. Many, many squash seedlings. Very healthy, robust plants. How could we argue with Mother Nature? 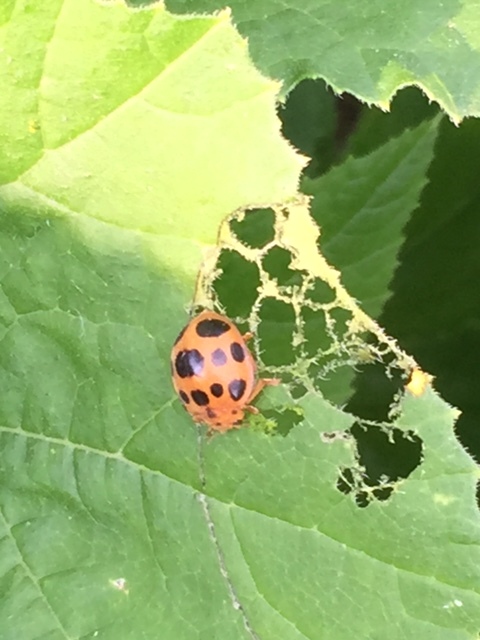 How could we even consider sticking to a human plan when, obviously, those heirloom seeds were doing what they were supposed to do? We left the squash. A couple of weeks later, we noticed some of the plants were leafless. Some were even stemless. 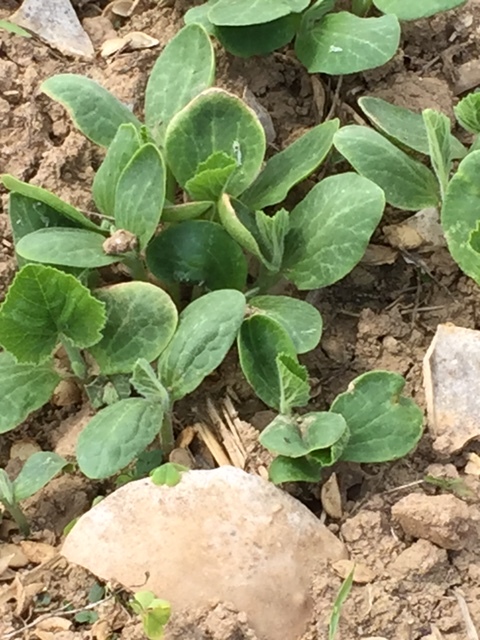 The GroundHOG, apparently, discovered those lovely heirloom squash seedlings and ravenously ate them to the nubs. We grabbed some tomato cages and surrounded squash plants, hoping to discourage the eating machine that has no predators. Well, none until we could remember to bring the shotgun with us. The cages saved the plants and they are, as of this writing, thriving and producing abundant fruit. A few years ago, I devoted a large section of field to squash. Perhaps I went overboard, but I love squash and decided to grow several varieties. Next to my maternal grandmother’s yellow crooknecks and straightnecks, I planted my paternal grandmother’s patty pans. 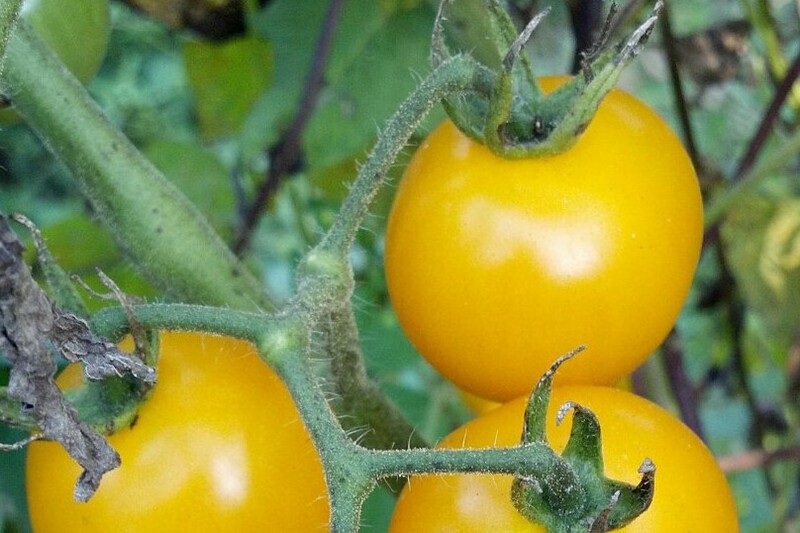 Tempted by too many enticing choices in the seed catalog, I added yellow and green zucchini, Gelber Englischer, a delightful scalloped yellow fruit, lemon squash, small round green squash and one that produced a variety of different colors of striped scallops on the same plant. When I saved seeds from these plants, I had no idea how many “new” varieties would grow the following year, due to cross-pollination. 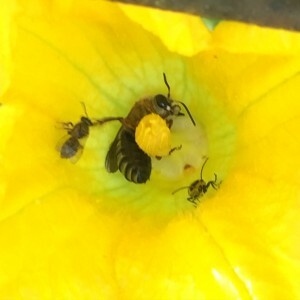 Learning from that mistake, I now separate cucurbits with a good bit of distance and to keep my grandmothers’ seeds pure, I make sure I keep a few plants at my home, ten miles from the farm squash. 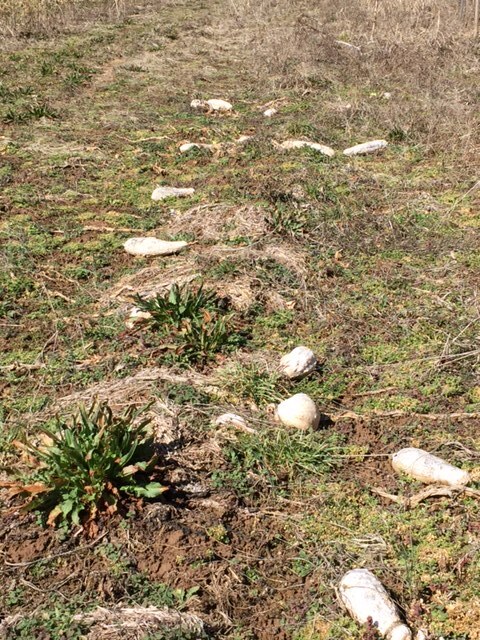 Although the new species were “mistakes,” as so often happens when growing plants, they are pleasant ones. My favorite is a squash that has the scalloped edges of a patty pan, a smooth creamy skin and the elongated body of a zucchini. When fully mature, it resembles some sort of sea creature, but the flavor is mild and sweet. Another interesting plant produced a striped squash that looks like the hybrid Zephyr. 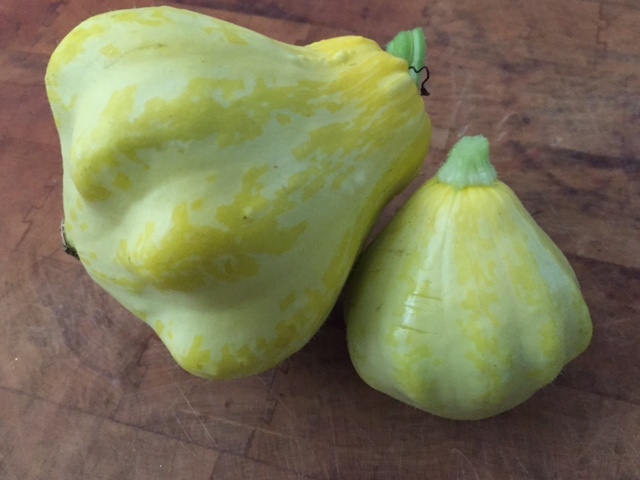 While I am not sure about some of the varieties that now happily grow at Heart & Sole, so far our harvests include zucchini, yellow straightneck, lemon,crookneck and the sea creature lookalike. Since they are in close proximity, it will be interesting to see what grows next summer from this year’s seeds. 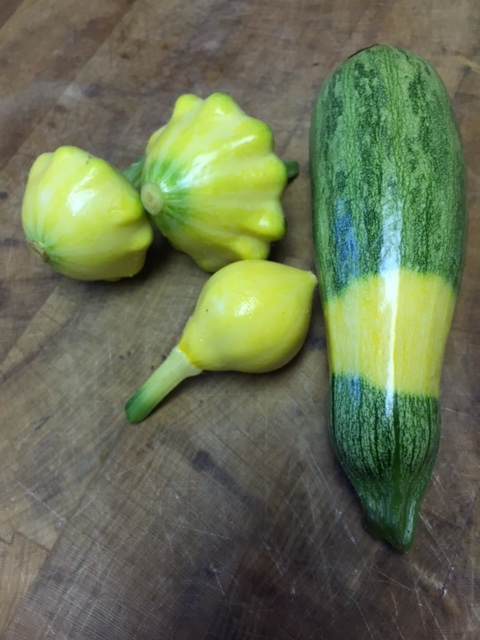 For now, we are enjoying this fresh summer squash harvest of plants that chose their own garden space. Our blueberry bushes are loaded this year and will be ripe any day now. Already, a large zucchini is waiting in my refrigerator to serve as the main ingredient in zucchini blueberry bread, a recipe I discovered at The Olive and the Sea A true canvas food, squash is equally delicious in savory and sweet preparations and hot and sweet peppers, herbs and spices all enhance squash flavors. 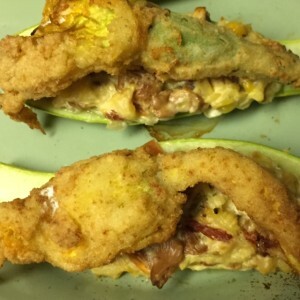 So, grab some summer squash and try these recipes. Enjoy! With fresh squash, I combined some ingredients I preserved from last year’s harvests. Notes in parentheses are what I used, but make any necessary substitutions. 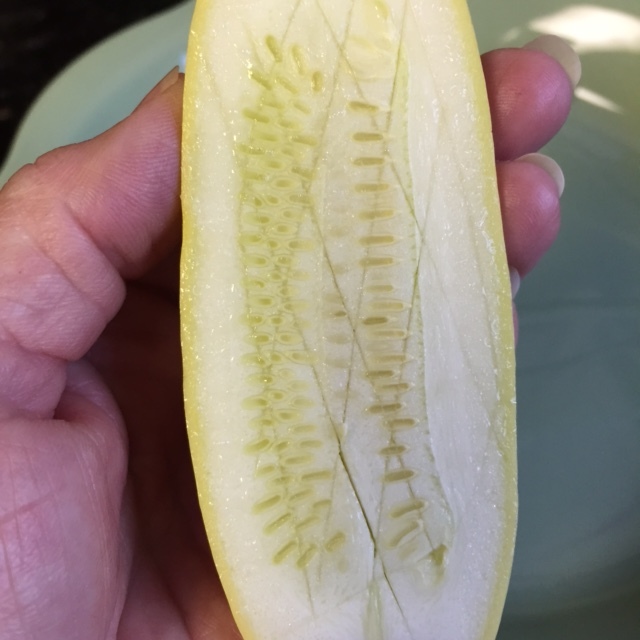 Use a sharp knife to make hashmarks in the middle of each squash slice and a sharp spoon to scoop out the inside, leaving shells with about 1/4 inch thickness. Place squash shells in a glass dish that is lightly oiled. 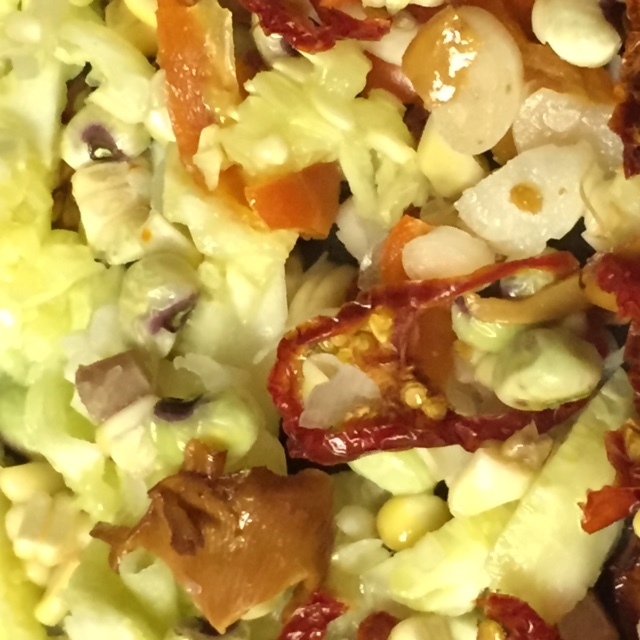 In a medium size bowl, add the scooped squash from the shells, the corn, tomato, peas and pepper. Heat butter in a large skillet and add shallot and ramp (or garlic), briefly saute until translucent. Add mushrooms and cook for about 1-2 minutes. Pour hot mixture into bowl, add chevre and stir until all ingredients are thoroughly combined. Fill squash shells and bake in preheated 350 degree oven for about 12-15 minutes, until baked through, but still firm. Remove from oven, top with fried squash blossoms and serve. Fill each squash blossom about halfway with cheese, twist blossom ends to close. Place blossoms in buttermilk for about 20-30 minutes. Remove from buttermilk and gently shake blossoms in the breading mix, using a ziplock or paper bag. Remove from bag and fry in hot oil until blossoms are crisp and golden. Immediately place atop baked squash and serve.. This entry was posted in Heirloom Seeds on June 22, 2015 by cindybarlowe.